"Kelly did a fantastic job during the entire process. She was very good at keeping us in the loop no matter what was happening." - Justin C.
Born and raised in Loveland, I am very familiar with Northern Colorado and realize just how lucky we are to live in such a beautiful area. Prior to starting my career in real estate, I worked for thirteen years as a 911 dispatch supervisor for the Larimer County Sheriff’s Office. Monopolizing on my experience as a 911 emergency dispatcher, I am known for my quick response, resourcefulness, trustworthiness, being detail oriented and staying calm under pressure. I believe that keeping my clients informed during the home buying and selling process is key to a successful transaction. Owning investment property of my own, I am aware of the many things to consider when choosing the right property to invest in. In 2011 my husband and I chose Windsor as the place to raise our family, and have happily called it home since! We couldn’t be happier with our small-town full of activities and spirit. We love being centrally located to everything Northern Colorado has to offer, and still being close to family. In my spare time, I enjoy working in the yard, planting flowers, taking walks, hanging out at the neighborhood pool and visiting my family cabin on the river near Estes Park. Most importantly I enjoy spending time with my husband and cheering on our three kids, who constantly keep us on our toes with their sports and activities. I knew Kelly Lindner from our previous careers and knew she would be a hard worker, trusting and fun to work with. She went way above what I was expecting from an agent. I can't imagine selling our first home with anyone else. She kept us informed of all the different steps and what our options were for each. She helped us stay on track and stress free knowing she was working hard for us. 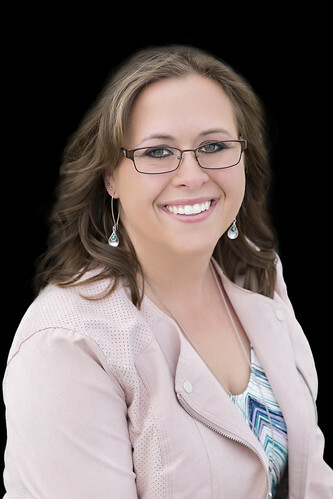 You can trust Kelly Lindner to work hard for you and you will enjoy every moment of the process with her fun and enthusiastic personality. Kelly did a fantastic job during the entire process. She was very good at keeping us in the loop no matter what was happening. Kelly did things and set up things before the open houses that I had never even heard of or considered to get it ready to sell. Kelly did great and it was a pleasure to work with her. Kelly helped me to get a property in a very difficult market. Having to do this with an out of town buyer (me) made it even more challenging. Kelly made this experience not only successful but fun to boot. be flexible with her time is so greatly appreciated. Kelly is the best realtor I have ever worked with! Kelly was the utmost professional. She made the process of building/buying our new home far less stressful. Kelly was dependable and communicated with us in a clear and timely manner throughout the process, always listening to our concerns and addressing any needs we had without us ever having to "follow up" with her. We would highly recommend her. This was the first home I have ever purchased. With that said, an unbelievable amount of questions came up. Kelly was extremely knowledgeable and helpful throughout the entire thing. She always explained the process in great detail and fought very hard to make sure the deal went through without a hitch. She made this process a great experience and stress free. Due to her working, so hard for me, there was no part of buying a home, that was stressful. I will highly recommend her to any of my friends and family that are buying/selling. I talked to Kelly about the possibility of selling our house and buying a new construction home. Kelly met with me and my husband and presented us with a very detailed evaluation of our house. She had already gone out to the new construction office (the models weren't built yet) and talked with the sales people and asked them all the questions we would never think to ask. We were so impressed with the amount of work she put in when we weren't even sure it would be possible for us to buy and sell. Not only is Kelly thorough and organized but she also has such a fun personality and is so easy to work with. I highly recommend working with Kelly!